The National Institutes of Health (NIH)/National Institute on Drug Abuse (NIDA) awarded a $407,814 two-year grant to a team of researchers from the Wright State University Boonshoft School of Medicine. The R21 exploratory/developmental research grant will enable researchers to better understand the significant surge in nonpharmaceutical fentanyl-related unintentional overdose deaths. In 2013, 92 people died from fentanyl-related unintentional overdose deaths in Ohio, according to the Centers for Disease Control and Prevention. In 2014, that number increased to 514 people. Pharmaceutical fentanyl, a synthetic opioid, is prescribed to manage pain related to patients with advanced cancer. It is 50 times more potent than heroin and 100 times more potent than morphine. Nonpharmaceutical fentanyl (NPF) is illegally made and can be sold as heroin or mixed with heroin to increase the effect of the drug. Very often, the user does not know that the drug has been mixed with heroin. 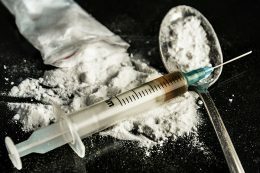 The study, “Characterizing Fentanyl Outbreaks: Ethnographic and Forensic Perspectives,” will be conducted in the Dayton area in Montgomery County. Raminta Daniulaityte, Ph.D., associate professor and associate director of the Center for Interventions, Treatment and Addictions Research (CITAR) at the Boonshoft School of Medicine, is the principal investigator. The study seeks to characterize NPF outbreaks through the integration of ethnographic and qualitative assessment of active user knowledge and experiences in addition to results from forensic analyses conducted by the postmortem toxicology and crime laboratories at the Montgomery County Coroners Office/Miami Valley Regional Crime Laboratory. The researchers will conduct face-to-face interviews with active users in the Dayton area. In addition to Daniulaityte, members of the research team from the Boonshoft School of Medicine include Robert G. Carlson, Ph.D., professor and director of CITAR, and Francois Lamy, Ph.D., postdoctoral research fellow. Other members of the research team include Ioana (Pavel) Sizemore, Ph.D., associate professor of chemistry at Wright State University; Matthew Juhascik, Ph.D., chief toxicologist, Montgomery County Coroners Office/Miami Valley Regional Crime Laboratory; and Silvia S. Martins, M.D., Ph.D., associate professor of epidemiology at Columbia University Mailman School of Public Health. The researchers plan to publish their findings in leading journals in the field of drug abuse epidemiology research.